Why Every Freelancer Today Wants To Be A Blogger? Freelancing and Blogging are among the many ways you can earn money online. We have been sharing tips on both at this blog. But the question is, which one is better? Sure, they both have their share of pros and cons, but the fact is, they are increasingly becoming inter-dependent. 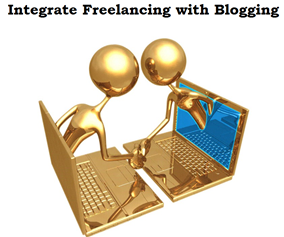 Most freelancers are now aspiring to become bloggers at some level or another. Why? Because it's their need of the hour! So the greater question is, should one start blogging as a career? Freelance work is increasingly demanding the presence of blogging, which is why a lot of Freelancers are now bloggers as well. Here's why you should blog if you are a freelancer. Blogging gives freelancers an opportunity to represent themselves on a whole new level. Let's face it, the idea of describing yourself in just two lines in a profile is just ridiculous. Hence, when applying for a freelancing job, that is when a blog comes in handy. 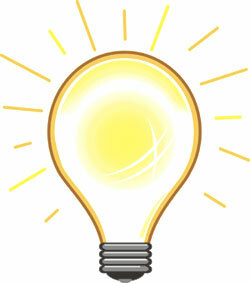 Besides your bio and portfolio, you can add a link to your blog. Now, you can tap into the vast power of a blog, and show them your entire work. You can show stuff that's not even related to the job you've bid for. This creates a really positive impression, which is why many freelancers are now starting to blog. Established bloggers have credibility. They have had contacts with professional people, and they have gotten a name out for themselves, and hence gained some recognition. They are also active on social media. Now freelance clients always prefer giving a project to someone who seems real enough, and whom they can contact through multiple channels in case of an emergency. Take a case study for example. You want some work done, and you've had some bids regarding your project. There's this guy who just has some bio and profile filled out, and then there's another one who has linked to his blog and social profiles, and has testimonials or references. Which one of them would you hire? Or more precisely, whom will be easier to trace, should there be any emergency? See what I mean? Having a blog means you won't be running away, which provides some level of security-comfort to the clients. Bloggers, and people with online presence are always prioritized. This is because bloggers tend to have a broader perspective on thing especially related to the internet, and they are open to ideas. Many bloggers even have a skill-set regarding web-mastering, web designing, working with graphics, and so on. Hence, in projects that require multiple skill-sets, bloggers are preferred as their skills can easily be judged from the blogs they manage. Take a graphic designer for example, who earns his living through freelancing. He might not know about web-development. But once he starts blogging, he will start learning new things. Knowledge is something that stays with you throughout your life. And using these newly-learned skills, a freelancer can pick up the relevant jobs as well, in addition to the jobs matching his previous skill-sets. And then comes the money. We have discussed about making money from a blog countless times. Blogging can prove to be a substantial source of income if done for some time with hard work and dedication. A freelancer does not know whether he will find work next month or not. But to a blogger who has an established blog, this isn't a concern. Income from blogs is more dependable, which is why blogging looks to freelancers like a regular office job, but only one which can be done at home. nice post sir, blogging is a good work.. Mine is glaring example of the topic of this post; having worked for twenty years as freelance writer in the field of environment, leadership, business environment, filmmaking,conflict management, job interview, student visa; now about four months ago ventured in blogging and not only enjoying it but started earning a cool amount from seven blogs each on above topics. My dear Qasim not only your viewpoint is telling but your writing style is also so convincing. Keep it up guy. I think one of the reason is to earn additional income just like you mentioned.